A stylish press pot for making great coffee anywhere. The beaker is made from heat resistant borosilicate glass and the body - a heat resistant plastic frame. 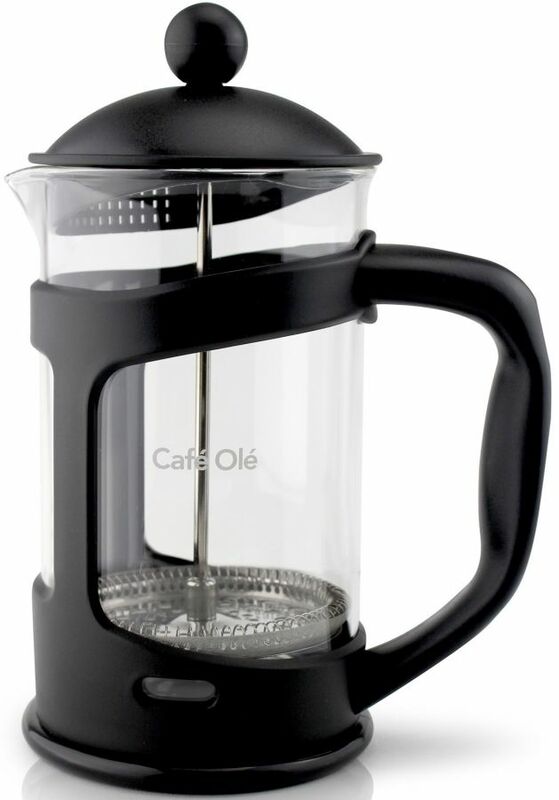 It's easy to prepare good coffee with a French Press. This brewing method allows for the coffee oils to mix in the water instead of being filtered away, resulting in a flavourful cup. The glass beaker is dishwasher safe, the other parts should be hand washed! Put the ground coffee in the pot and pour the hot water (92-96c) in the pot. 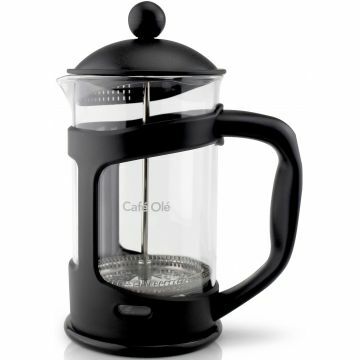 Let the coffee brew for 3-4 minutes and after that press the ground coffee down with the plunger. Use 6 grams of ground coffee for every 100 ml of water. Use a coarse grinding, preferably slightly coarser than th drip brewer grinding. Hyvä ostos ja toimiva peli. Passeli kahdelle tai kolmelle.Toimitus nopea ja kaikinpuolin hyvä palvelu.